Miss Leanne started her dance career as a Ukrainian Dancer. She began her studies at St. Anne’s Ukrainian Dance School and Rossdale School of Ukrainian Dance. She later became a soloist with Romanetz Ukrainian Dance Ensemble and finally, Rusalka Ukrainian Dance Ensemble. She performed extensively with each of them, both in Canada and abroad. 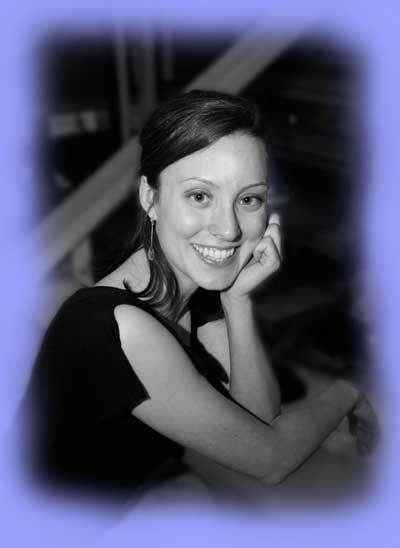 In 2004 Miss Leanne was accepted into the Royal Winnipeg Ballet’s Teacher Training Program. Through the program she obtained her Intermediate Cecchetti exam, Advanced One Cecchetti exam and her Associate with the International Society of Teachers of Dance, Cecchetti Branch. She graduated from the RWB in 2008. She has also just recently completed her Advanced Two Cecchetti exam and is now one of only 6 people in Manitoba to have successfully completed this exam. Miss Leanne was a senior teacher at the Ukrainian National Federation School of Dance and Senior Dance Academy for 9 years. She taught a variety of ages throughout the school and Academy, as well as the Zorya Dance Ensemble. She has set large and small choreographic numbers featuring any number of students, from two all the way up to forty! Her works have been presented each year at Folklarama’s Kyiv Pavilion as well as a variety of other venues. Miss Leanne is a much sought-after teacher of children’s work, which twice earned her the Kally Kennedy Scholarship through the Professional Division of the Royal Winnipeg Ballet, as well as a position on the Recreational staff. She has since taught varying levels of children’s work, ballet and jazz in the Royal Winnipeg Ballet’s Recreational School and associated programs, as well as at a number of other studios, events and workshops around Winnipeg and elsewhere. She is thrilled to join the family at Studio One and can’t wait to teach some “superfun” classes! Miss Veale is currently working towards her ADAPT Jazz certification and hopes to also attain her Stott Pilates Level 1 certification in the next year or two.